Staying true to our promise of striving to be the best resource for mental health sufferers, we organized and executed a successful first season of the Overcome Anxiety Series. 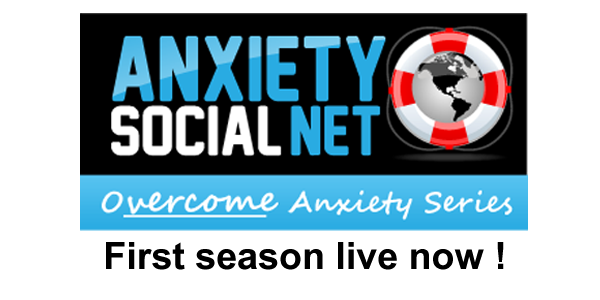 The Overcome Anxiety Series, Season one constituted of a full week of Live Sessions with mental health professionals and fighters of anxiety disorders and depression. They brought their knowledge, resilience and loads of motivation for everyone through the ASN platform. The week began with the founder of ASN, Salomon Ptasevich who shared the story of his personal fight with social and general anxiety, his motivation behind creating ASN and his plans for the future. Following Salomon was the beautiful couple and creators of the upcoming movie, Under My Mask, who shared their tale of valor with ASN, talking about how they found each other and God to be their strength behind their fight against social anxiety disorder. Kevin Patton, a certified CBT Therapist and Laughter Yoga Leader in England came in next. He shared his knowledge, gave valuable insights into Cognitive Behavioral Disorder and even taught breathing techniques to lower anxiety levels quickly. This was the most informational and worthwhile session of the week. Tarryn Cohen, another certified Therapist in UK joined in next and shared her ideas about therapy for fighting anxiety, agoraphobia and discussed how therapy could be beneficial for some severe forms of mental illnesses. Next came the most fun session of the week with Recovery Coach, Shira Goldberg, located in California, USA. She is an amazing person who has chosen recovery coaching to be her profession. Her knowledge about addictive behavior and her understanding about what recovering persons really need was nothing less than inspirational. There was a touch of controversy too as we talked about the pros and cons of AA. Finally came the greatest fighter of the lot, Les Floyd, a blogger, author, king of twitter and lover of cats. His story was probably the most amazing and the most motivational of the lot. His fight has been a long one but he has shone through with amazing qualities that were buried deep behind the veils of depression. We at ASN love his blog and would like you guys to take a look at it also. Thus was the Overcome Anxiety Week – the first season of the Overcome Anxiety Series. We were successful in bringing together the world on the one platform sharing the same commitment… to help people overcome their anxiety, depression, addiction and mental health problems. From Salomon in Israel to Kevin in England to Shira in the US and the moderator Talha from Dubai… this was a truly international web event. We hope we were able to bring a lot of value to our members and fans. And we encourage you all to share this with others who might find the information in the videos helpful too. James Buzzacco and Misty Neuhardt (US) Film Production Experts, Lovers and Fighters of Social Anxiety Talking about their journey through the fear of people and how they, together, found each other's love and God to be the way out. James and Misty are currently producing an amazing film - Under My Mask. Kevin Patton (UK) Accredited CBT Therapist/Group Counsellor Talking about CBT and Laughter Yoga as a highly effective means of battling anxiety disorders on individual and group levels. Tarryn Cohen (UK) Accredited Counsellor/Therapist Talking about depression, anxiety, relationship problems, work issues, relapse prevention and group therapy. Founder - Living Sober Life Coaching Shira Goldberg is a Recovery Coach and founder of LivingSoberLifeCoaching.com It is my mission as a Recovery Coach to support sustainable and positive changes by helping anyone to avoid relapse and build community support for recovery by working on life goals important to the client..
ASN is committed towards becoming a one stop resource for all mental health sufferers. Please help us spread the world by sharing us on your social networks.